The CIHPRS Season Awards are awarded annually to the highest scoring CIHPRS member for the Central Indiana Highpower Rifle Shooters season at Camp Atterbury, Edinbugh, Indiana. Scores are averaged for the season for Across the Course, Long Range, and as of 2015, Mid Range. Members must shoot a minimum number of matches to qualify. Shooters are recognized for both Overall and Class awards. The three trophies that make up the “core” of the Awards go back to some of the earliest Rifle matches at Camp Atterbury. The Floyd Clark Long Range Trophy and the Moncrief Service Rifle Award feature beautiful bronze sculptures, reputedly made by the same company that created many of the National Trophies. 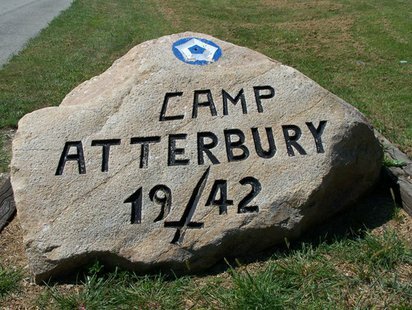 Since F-Class shooting began at Camp Atterbury, awards are recognized for F-Class and F/Tr. Unfortunately starting in 2016 the CIHPRS Club trophies were hijacked and we can no longer award them.